Thank you for selecting Professor Qwbli's for your Rory's birthday party! 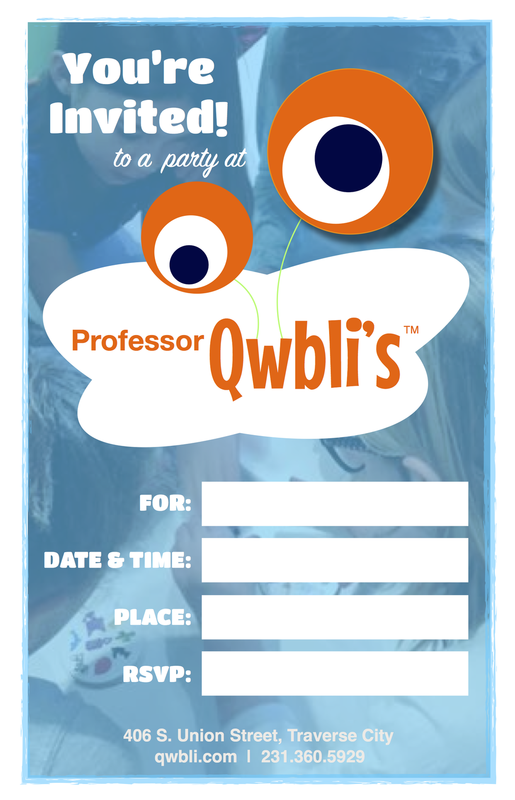 Hosting your party at Professor Qwbli's is A UNIQUE, CREATIVE, and MEMORABLE way to have HOURS OF FUN & LAUGHTER with your friends and family. To complete your booking and secure Sunday, January 27th from 1:00 pm - 3:00 pm, click the button below. Contact J. Pine at jpine@qwbli.com or (231) 360-5929 with any questions.